Performing experiments can often involve dangers and hazards. The author assumes no responsibility or liability for injury or damage, to persons or property, resulting from use or misuse of the information provided on these pages. Videos: Our YouTube channel is here. Video replication of the Graneau experiments with electrodynamic water arcs and anomalous cold fog explosions capable of launching objects into the air. Videos of a magnetic levitation device capable of suspending metal parts in mid air, and serving as an ultra-low friction bearing for various rotors. Videos of the construction details of an pulsed NMR spectrometer at 18 MHz, with a demonstration of FIDs and spin echos from H protons in a glycerol sample. In our latest experiment with Sagnac Interferometers, we construct a device capable of detecting earth's diurnal rotation through space purely optically, demonstrating that the speed of light is not constant for the laboratory observer. We then address the fundamental question, with respect to what is the device rotating? A famous quantum mechanical postulate of Paul Dirac was that "two photons never interfere." We find that in fact, they do. 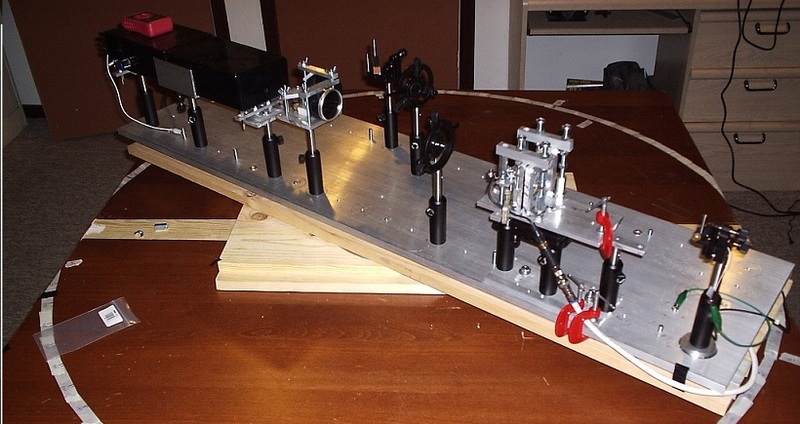 In the 1970's, Cialdea performed a one-way speed of light experiment with a rotating table to attempt to measure a difference in the speed of light in different directions due to the earth's motion through space. We provide an experimental replication herein. Write-up of the replication of the Graneau experiments with electrodynamic water arcs and anomalous cold fog explosions capable of launching objects into the air. Design and contruction of a magnetic levitation device capable of suspending metal parts in mid air, and serving as an ultra-low friction bearing for various rotors. Includes an eddy current drive system to rotate the levitated cylinder. Ernest Esclangon appears to have somehow detected the Earth's motion through space using a novel autocollimator arrangement. We test some possible explanations of how he might have done it. 7) Interactive Esclangon Telescope Simulator. A webapp that allows one to simulate the Esclangon Experiment. The webapp allows one to adjust the mirror angles and hypothetical ether wind speed. 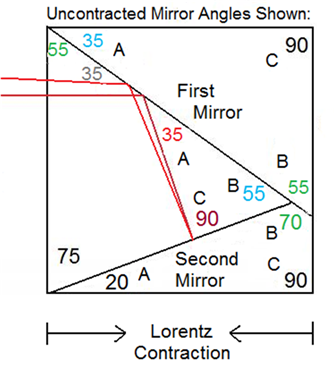 The vertical image displacement in the telescope on rotation is then calculated assuming that the mirrors would experience a Lorentz contraction in the direction of the ether wind. See article 5) above for additional details. This in depth experiment shows how the fringe shift that arises due to a standing wave moving with respect to a sensor in an interferometer that is rotated through an aether wind will be cancelled by the frequency shift in the laser clock due to a mechanical time dilation effect predicted by Lorentz. We describe a 4 quadrant photodetector constructed for measuring angular beam drift in a HeNe laser system. 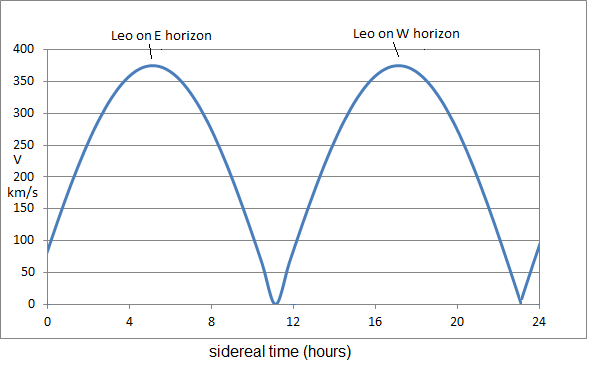 We then examine the degree to which the exit angle of the HeNe lasers drift over periods of hours and days, the mechanism involved, and how to solve it. We describe a detailed replication of Silvertooth's standing wave interferometer experiment of 1986/1992 in which he claimed to have been able to measure the one-way wavelength of light, thereby detecting our relative motion through space with respect to the CMBr. A short article on how to build a HeNe laser with frequency stability on the order of 1 part per million. 2) Home Built Nuclear Magnetic Resonance ( NMR ) Spectrometer. 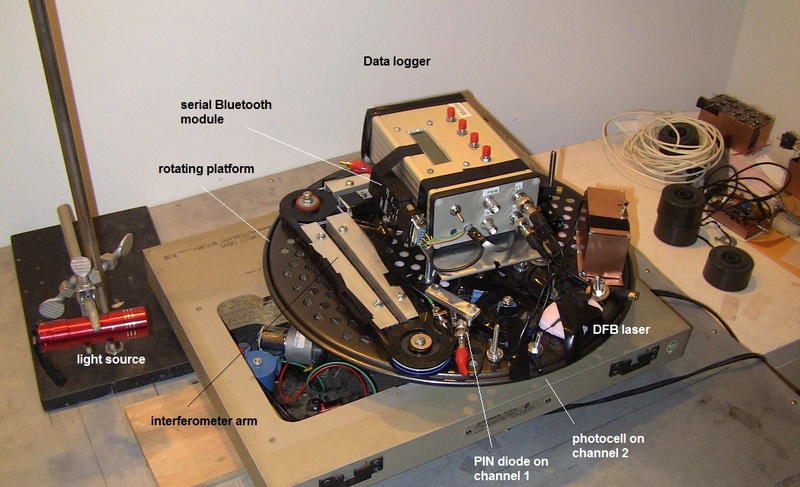 A article on the construction of a pulsed NMR spectrometer at 18 MHz, with a demonstration of FIDs and spin echos from H and F protons. Features our instructional YouTube video, and references to relevant links. An article on the construction of a single mode fiber optic Michelson interferometer using Faraday rotator mirrors. Also desribes the use of a wireless datalogging system using Bluetooth communication to a host computer. Data is presented on a replication of a Kennedy-Thorndike type experiment, which is also consistent with the results of the Shamir and Fox experiment. 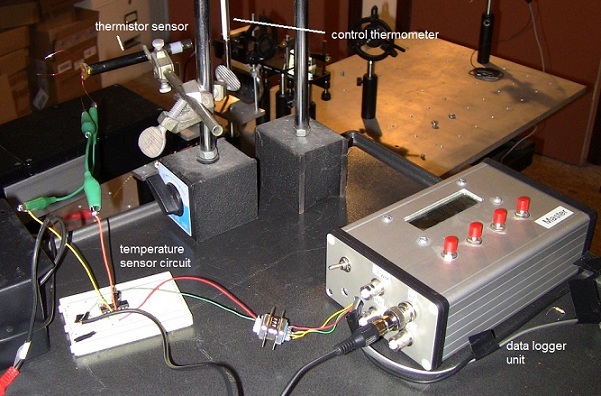 5) Construction of a temperature data logger that imports directly into Excel (2012). This is a brief note describing a temperature data logger we constructed recently using a thermistor, OP-amp and a PIC16F777 microcontroller. It uses a freeware program to import logged data points directly into an Excel spreadsheet for analysis and graphing.